Enjoy the Holiday Inn University of Memphis All Suite Hotel on your next visit. We are poised to offer you the best facilities and service in the city. If leisure travel brings you our way, our city central location is perfect for your needs. You can enjoy Downtown Memphis which is just 15 minutes away. Take in a Redbirds Baseball game or a Grizzlies NBA game, walk along the Mississippi river, or you can take in exciting Beale Street. If you are in Memphis on business, we are the place to be. Major business centers and key corporate headquarters are close at hand. Youll appreciate our meeting and event facilities offering of three amphitheaters and 14 meeting rooms available for any type of meeting. Youll want to make use of our 1,000 seat ballroom and take advantage of our event coordination and audio visual departments. Swing by our Medallion Restaurant where you can enjoy an incredible burger or a continental cuisine dinner. 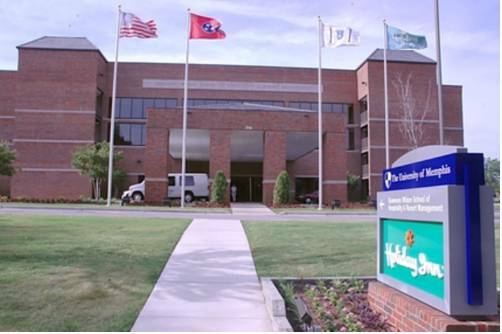 After your meal, you can work out in our on-site fitness center or make use of the University of Memphis Health Center. The all suite Holiday Inn has anticipated your needs and our staff is ready to show you some first class Southern hospitality. The Medallion Lounge is a full service bar located on the first floor of the hotel. Permanent stage, wood-inlay dance floors, 3 ceiling mount LCD's . On-site AV equipment & technicians on staff. Free Wireless Internet in Meeing & Public areas. Events supported by personal service coordinator. Perfect for Banquets and presentations with a permanent, wood-inlay dance floor, on-site AV to include a ceiling-mount LCD. 3 on-Site technicians. A personal event planner and award winning, eurpoean trained Chef support every function. Free Wireless. Perfect classroom or intimate luncheon option. On-site AV and technicians. A personal event planner and award winning, eurpoean trained Chef support every function. Free Wireless. Free Wireless. Can be set for meetings or small catering events. AV Equipment and Technicians are on site. Service Coordinators are assigned to assist in planning and event oversight. The University of Memphis is an attraction in itself. Performing Arts, Lectures and Exhibits are plentiful. The University also is the host location for many university and non university groups. Call 901-678-2040 for campus information. Voted "Best Iconic American Atrraction" bu USA Today. Not only Tour Elvis' Mansion but tour his Trophy Room and Private Jet. You may also walk the family gravesite area. Call 901-332-3322 for days and hours of operation. Get nose-to-nose with polar bears, grizzlies, grey wolves and sea lions. Interactive family fun with naturalistic exhibits and shows daily. Call 901-333-6500 for days and hours of operation. Call 901-761-5250 or visit www.dixon.org for exhibits and hours of operation. Major exhibitions spanning cultures and times bring this world class encyclopedic collection to life. Call 901-544-6200 or visit www.brooksmuseum.org for hours of operation. Interpritive exhibits and displays bring to life the most significant moments of civil and human rights struggles and victories. Please call 901-521-9699 or visit www,civilrightsmuesum.org for dates and times of operation. Hands on Fun. Sit in a real airplane cockpit, splash in the Mississippi, be a news anchor on CMOM-TV, be a star on stage and more. A regional natural history, science and cultural museum. IMAX theater and planetarium all under one roof. Where it all happened in the 60's and 70's. Otis Reding, Booker T & the M G's, Isaac Hays and more. Take a guided tour through the "Birthplace of Rock & Roll." Experience outtakes from sessions, touch Elvis' first microphone, and hear the history of the studio. A fake cave, filled with crystal quartz and odd religious statues, in the middle of a cemetery. It took 46 years to complete. A large replica of the Statue of Liberty. She's ditched her torch of enlightenment for a giant Christian cross thrust forward as if repelling vampires. Props and memorabilia from movies decorate a Hollywood-themed casino, including a replica of the Titanic's stern in an indoor fountain, the Batmobile, Herby the Love Bug, and King Kong.